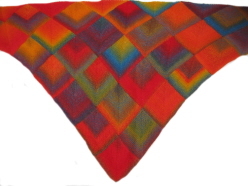 Knit this beautiful,versatile, triangular shawl for yourself or as a gift for family and friends. Our kit contains one 100g ball of yarn, a circular needle (the shawl is knitted flat but requires a circular needle to accommodate all the stitches), the pattern and a handy project bag . 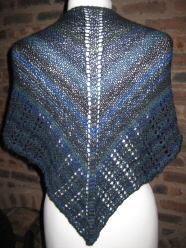 This stunning shawl is knitted in mitred squares and takes 3 balls of Zauberball or Zauberball Crazy sock yarn. It's easier than it looks and, as you pick up stitches, along the way, there is very little sewing-up. 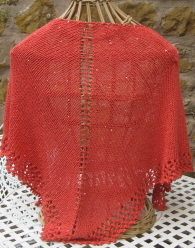 This triangular shawl is knitted from the centre top using just one ball of Crazy Zauberball sock yarn. The kit includes 100g of Crazy Zauberball and the shawl pattern.